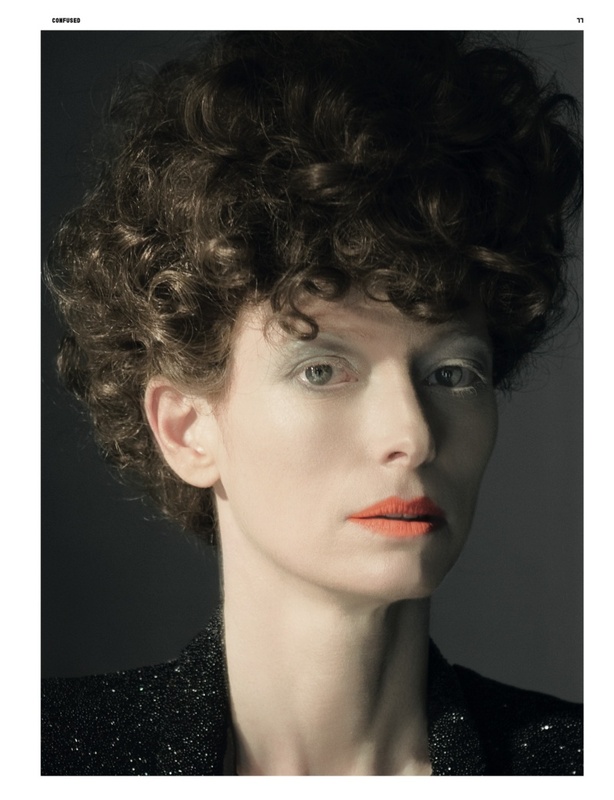 Tilda Swinton, you are divine. Like a living statue, made of the finest alabaster, you are ethereal. You transform effortlessly into intriguing characters. Our gaze is transfixed upon you. 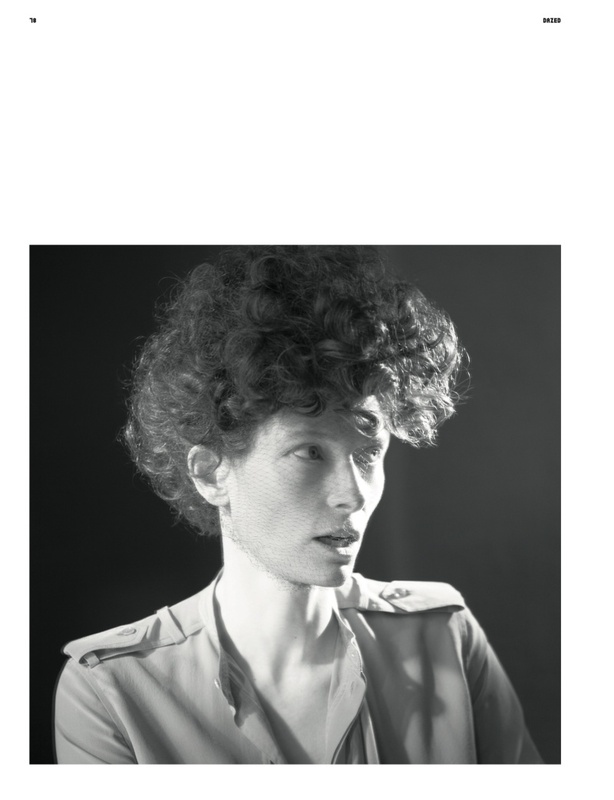 Watch Tilda turn it out for the May 2010 issue of Dazed & Confused mag, snapped by Glen Luchford and styled by Katy England. She wears Celine. As always, she is on the pulse before we even hear a heartbeat. Previous Post Did Someone Say Ballet? Well, dear Yvette, you just Made my day – thank you for the lovely comment! 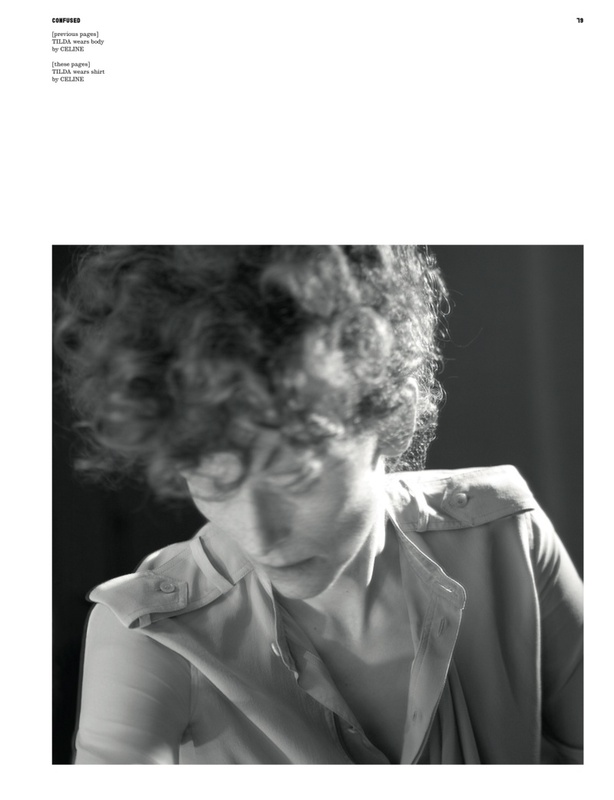 Tilda in curls – so iconic. Great write up-such economy of words, yet, full of flavor! You should write on the Huffington’s blog, or something.